Alabama and Georgia had locked up the No. 1 and No. 2 spots in early January. The very top of the 2019 recruit rankings lacked drama. Alabama had the top class wrapped up back in November. A year after finishing fifth to end a seven-year streak of No. 1 classes, the Tide have rolled back to the top spot. Alabama finished with 26 commitments, and 26 are rated four- or five-stars. Alabama’s only non-blue-chip commitment is a kicker. Georgia has 24 signees, including 10 blue chips.. The prized signee so far is Nolan Smith, an edge rusher some believe is the top player in the entire nation. Which left a battle for No. 3. Texas, Texas A&M, or LSU could have finished third. Entering Wednesday, LSU was likely the favorite to jump up and grab the spot over the Aggies and Longhorns. But LSU would need to grab elite defensive tackle Ishmael Sopsher to do so, and he went to Alabama. The Tigers finished with an awesome class of 25, including 14 four- and five-stars. Many believe cornerback commit Derek Stingley Jr. is the best player in the nation, regardless of position. Running back John Emery Jr. might be the nation’s best runner, and guard Kardell Thomas is an elite offensive lineman. But it wasn’t enough for that third spot. That left two bitter rivals who claim they aren’t rivals: Texas and A&M. There was a path for A&M to leap over Texas and claim the third spot, but it would have required a difficult inside straight of a close, which didn’t happen in full. The Aggies finished with 27 commitments, including 16 four- and five-stars. Offensive tackle Kenyon Green is a star in the making, tight end Baylor Cupp could be special, and cornerback Erick Young is extremely physical. And they picked up linebacker Chris Russell on National Signing Day, an excellent get. But Texas finished on top by just two points, 287 in all, two more than Texas A&M. 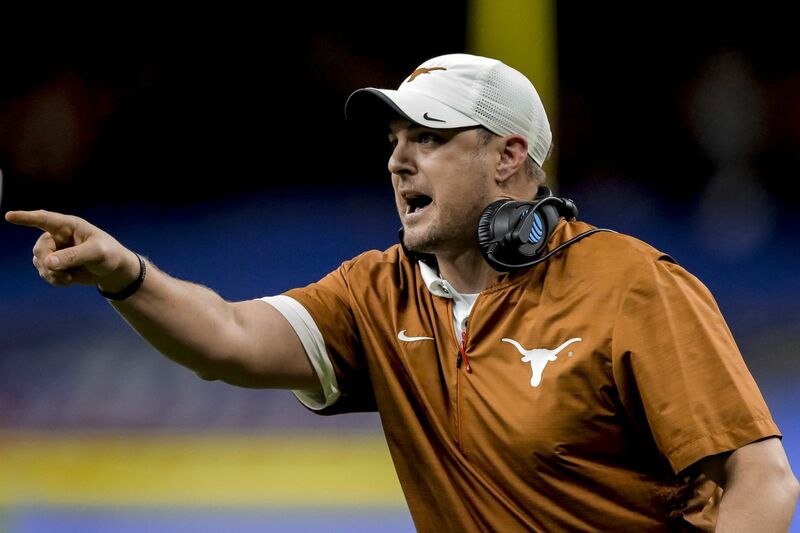 The Longhorns had 24 commitments, with 17 rated four- or five-stars, including freakish athletes like receiver Bru McCoy (a USC signee who’s technically transferring due to Kliff Kingsbury’s exit) and safety Tyler Owens. The main order of business was to hold on to Jayvonne Shepherd, a fast-rising tackle who has been committed to the Longhorns for several months, and Texas did that. But still, there’s not much difference between Texas and A&M’s class other than bragging rights. These are both elite classes which should help lay the foundation to win a lot of ball games. Both teams landed elite playmakers and both also added help along the offensive line. But that won’t stop Texas fans from boasting about beating the Aggies, and perhaps conveniently forgetting to mention the margin of victory.